Earthbank utilizes exclusively fish waste and wood waste in our operation. The fish waste consists of mainly farmed salmon offal (some wild) from processing plants and farm mortalities from net pens mainly on the West Coast of Vancouver Island. Earthbank also provides the transportation service to haul the waste to our composting site. 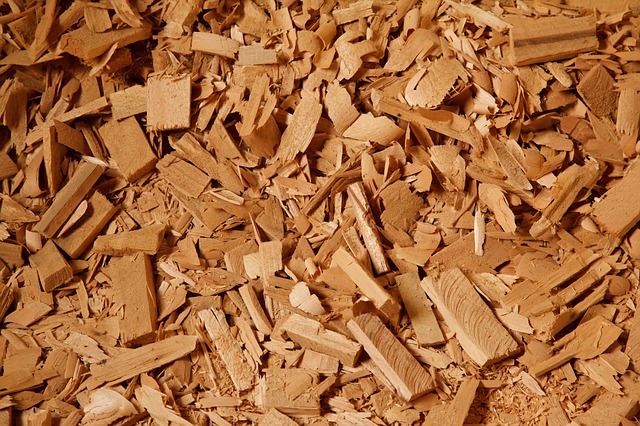 The wood waste consists of sawmill waste (mainly fir and hemlock bark), ground up land clearing debris and a small amount of sawdust. All materials from the mills are clean and uncontaminated. Only uncontaminated land clearing debris is accepted at our composting site. All land clearing debris is processed (i.e. ground up) before being incorporated for composting. is capped with a mixed blend of wood waste and partially cured compost to provide a biofilter for odour control of what we refer to as a ‘primary block’. As fish waste is brought onto our site, this process is repeated and added to the pre-existing block until it reaches a pre-determined size and/or period of time. Then a new primary block is started. The secondary blocks are then turned out into ‘tertiary’ windrows after approximately 1.5 years of primary and secondary block composting. These windrows can be turned frequently if necessary, as off site odour during this stage of composting is not a concern. The total number of turns can vary, however, there are a minimum of 15 turns before the material is screened for use. Temperatures above 55 degrees Celsius are routinely recorded in fish compost for long periods of time due to the active and high-energy nature of fish compost. The ”overs” from the screening of the finished compost are then recycled back into the active composting process through a variety of processes and functions that Earthbank utilizes to obtain 100 % recycling of all materials brought on site.